1) TPU Cushioning - absorbs more impact across a wide range of temperatures than traditional foam padding. 2) VTD TPU Cushioning - this variable thickness durometer padding is specifically designed to absorb both low and high velocity hits. 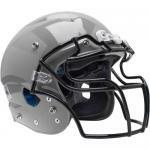 3) TPU/D30 Hybrid Cushioning - gives a helmet the advanced technology of TPU in the front and crown and the protection of D30 in the sides and back in their youth helmets. 4) Surefit Airliner - this inflatable liner gives the helmet a pillow-like feel while enabling a precise fit. 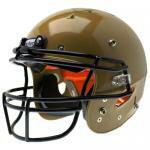 5) Non-inflatable Helmet Liner - offers additional comfort than traditional foam for youth helmets. 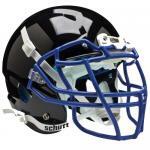 6) Polycarbonate - a durable alloy utilized in the helmet shells of all varsity helmets. 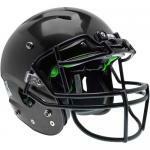 7) Abs Plastic - a durable, lighter compound utilized in the helmet shells of youth helmets. 8) Air Max TPU Jaw Pads - combines the protection of TPU and soft fit of liners for protection and comfort. 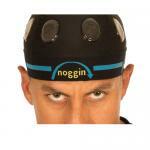 9) Mechanically Attached TPU - holds the cushioning in place in a superior fashion than velcro. 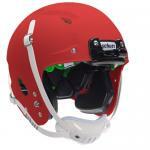 10) Twist Release System - Eliminates upper loop straps, making it easier and quicker to attach facemask. 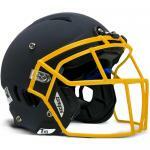 11) Standard Nose Bumper - protects the bridge of the nose from helmet shell. 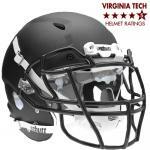 12) Large Standoff - a larger space between the head and helmet shell to enable the use of thicker TPU cushioning. 13) Traditional Standoff - allows room for standard TPU cushioning while enabling a lighter, more streamlined fit. 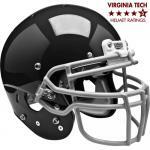 14) Valve Attachment System - secure attachment system for helmets containing inflatable air liners.